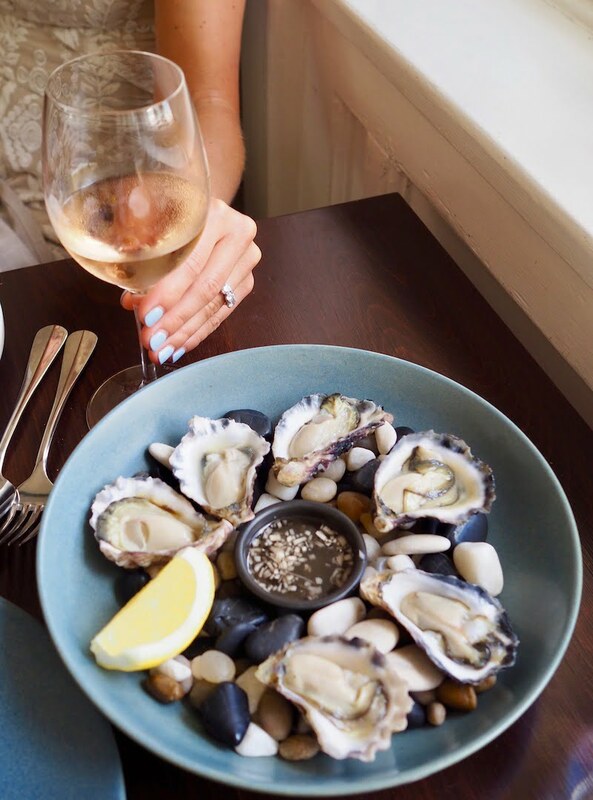 Book your next date night at The Nielsen, the BYO beachside restaurant you need to know about. Finding the perfect restaurant for a date can be hard. You want somewhere you can book, a beautiful view, great food and preferably BYO so you don’t break the bank. Tick, tick, tick, tick. The Nielsen in Vaucluse opened in July and ticks all of those boxes. 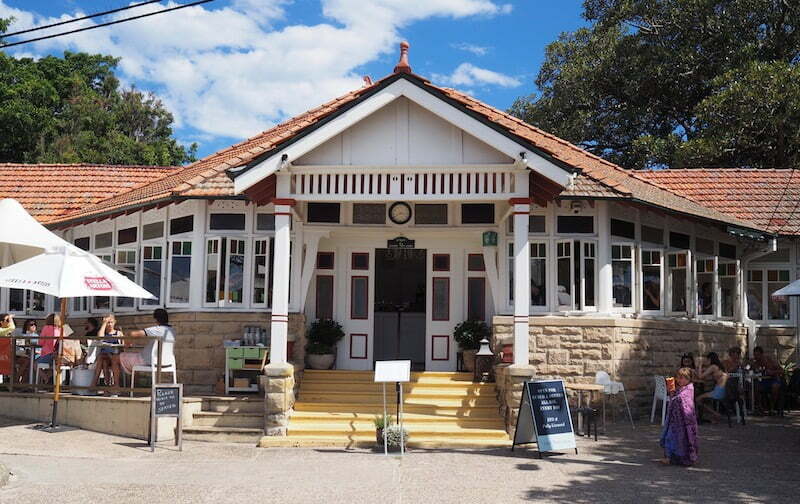 This casual Italian eatery is set in the beautiful grounds of Nielsen Park in Vaucluse. On any given sunny weekend you’ll find it bustling with picnics, birthdays, sunbaking bods and giant inflatable toys. Not a frown in sight, this Harbour beach is an absolute gem. At the heart of it all The Nielsen incorporates several dining spaces catering to a range of experiences. On one side you’ll find The Kiosk. Open from 8am, seven days a week it’s perfect for that refreshing ice-block, specialty coffee or light snack. Take it back to your towel or have a breather under the umbrellas in the alfresco area overlooking Shark Beach. The Pavilion is located behind the restaurant and available for exclusive hire. It’s perfect for weddings or larger events and has a leafy outlook over Fig Tree Road in the centre of the park. But let’s get back to this perfect date spot. You can’t go past the main restaurant. 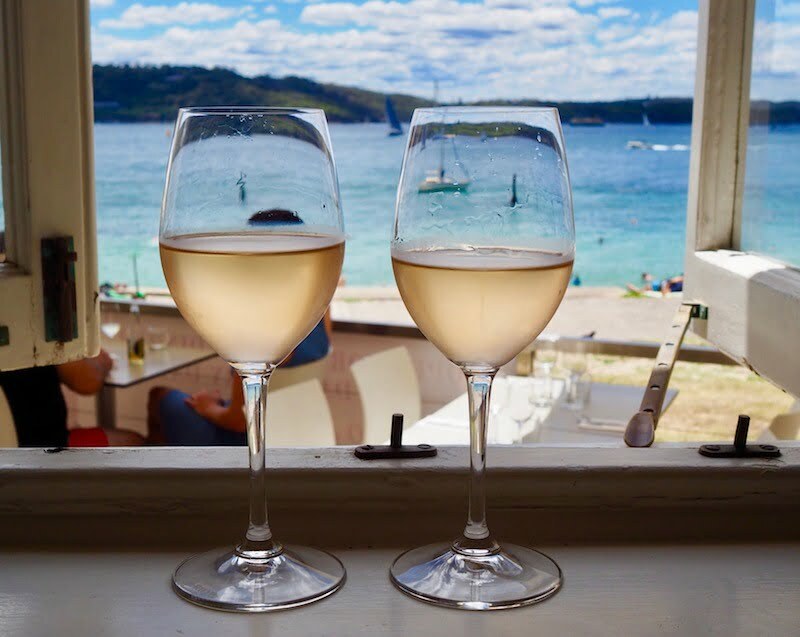 The Nielsen is Sydney Restaurant Group’s 10th venue and these guys sure know a thing or two about waterside hospitality. Their other venues include Aqua Dining, Ormeggio at The Spit, LuMi Bar & Dining, Ripples Milsons Point and Chowder Bay to name a few. 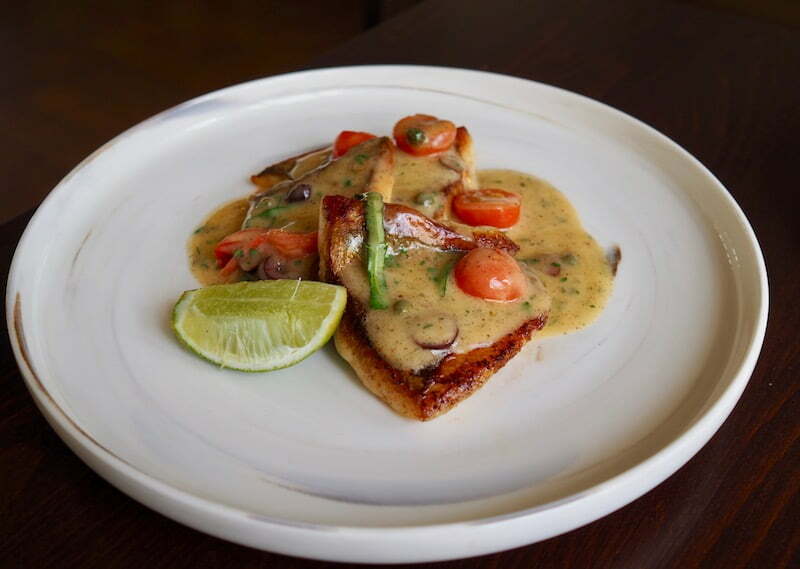 The owner’s love of both Italian cuisine and seasonal produce shines through with a heavy focus on fresh seafood. What’s more romantic than eating seafood by the seaside? The food at The Nielsen is simple, honest and reasonably priced, especially when you consider the location. It’s also the kind of menu you can design yourself. 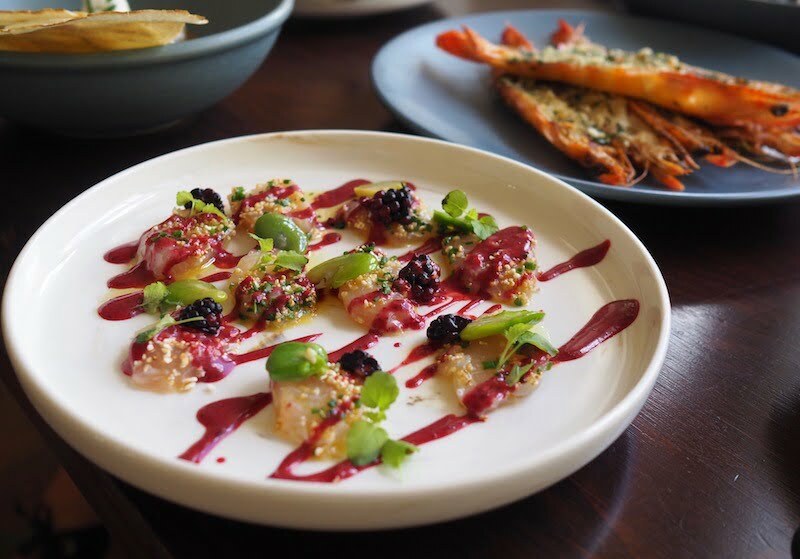 If you’re open to sharing order a number of starters including Sydney rock oysters ($4ea), the beautifully presented kingfish crudo topped with blackberries and broad beans ($20) and juicy grilled king prawns ($24). The burrata is a must try! It’s the least “pretty” of the dishes but full of flavour. 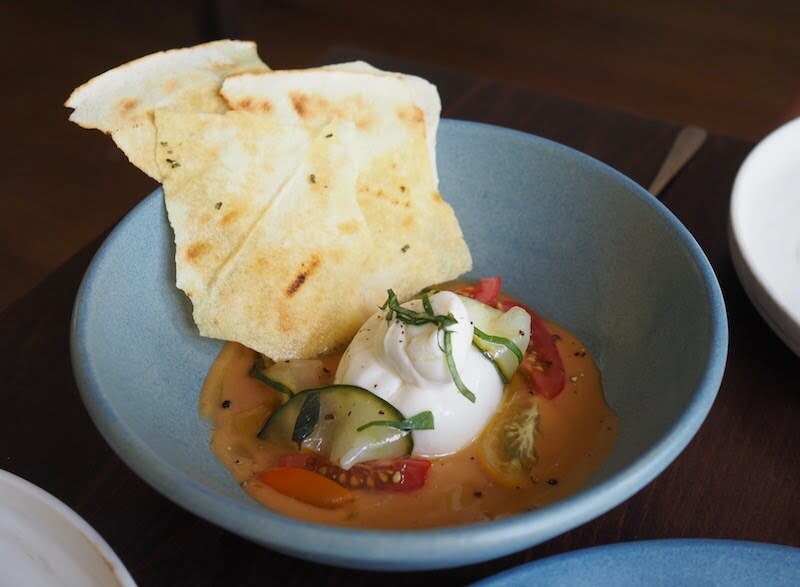 Served in a gazpacho style sauce, topped with heirloom tomatoes, cucumber and crisp bread ($21) it’s a winner. If you prefer your own meal order individual entrees, mains and dessert. There are a number of vegetarian dishes available as well as a delicious Rangers Valley Wagyu bavette ($40) and a braised lamb shoulder designed to share between two ($78). 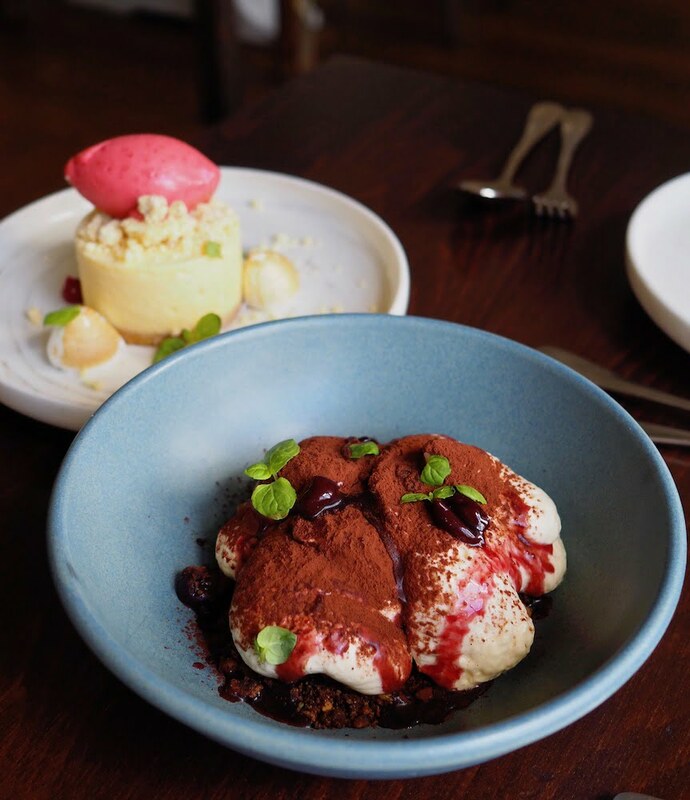 Leave room for dessert, the mascarpone foam with Amarena cherries and coffee ($15) is light and the perfect finish to a meal. 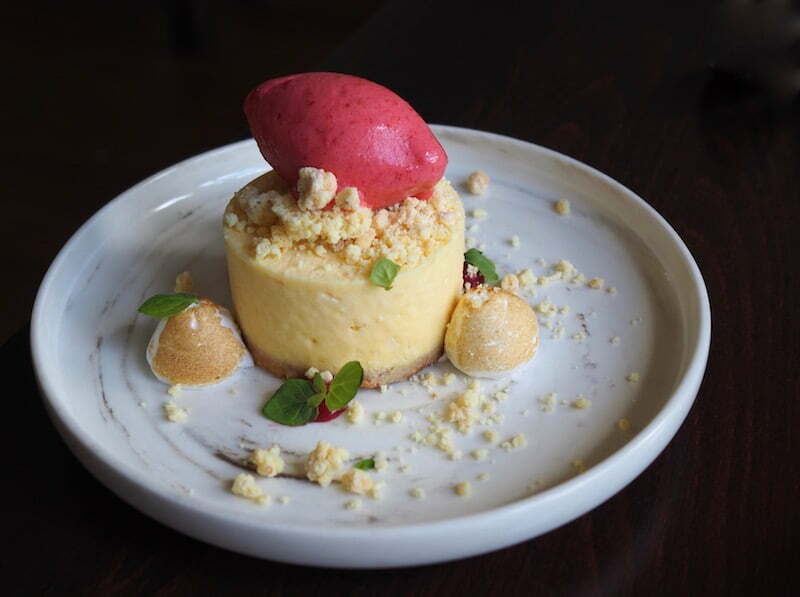 For something more indulgent try the lemon and yuzu mousse with raspberry sorbet ($15). The restaurant is fully licensed with a good selection of local and international wines plus a short cocktail list. If you’ve got a special bottle of wine or champagne you can BYO for $12/bottle corkage. If you’re dining with a group arrange a set menu, which includes a family share style meal for $65 per person. The restaurant is open for breakfast on Saturdays and Sundays and lunch & dinner 7 days/week. Sponsored Love: The post is proudly brought to you in partnership with Sydney Restaurant Group. Thank you for supporting the partners that made Eat Drink Play possible.